Hi all, I am back once again with my 2nd travelogue. 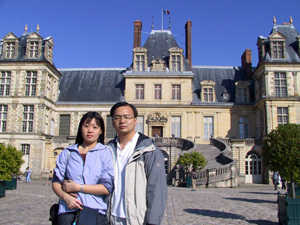 This time round, I went to Paris, the romantic city. I was in there from 13 September 2002 to 18 September. I know it is short, taking into account nearly one day of flight to and fro. 13 September 2002, Friday is a very important day for me. This is the day I married my wife, Angelia. 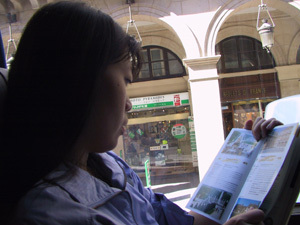 Yep, the girl in my Melbourne Travelogue. Before I bore you with my love story. Let take a look at my travels in Paris. It is going to be a long flight, 13 hrs in total. We sat till we could not feel our bums anymore. We arrived at Paris at 0600h (PARIS TIME) and had to wait one hour for the transfer to the hotel. Could not believe it!!! 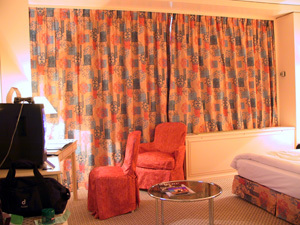 Also, even though we are staying at a 4 star hotel (Hilton Paris), the service there is not so good as expected. Guess the only good part is that we are just next door to the Eiffel Tower. We went down to Grayline (told you we had good experiences with them at Melbourne and Hong Kong) at Pyramides Square. 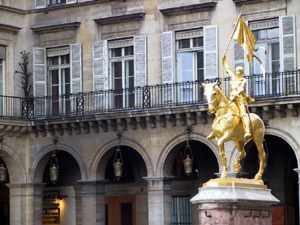 If you ever need to recognise the place, just look for the Joan of Arc. Here we are, looking thru' the tours from Cityrama (Grayline) as we begin on our journey to Fontainebleau & Barbizon. 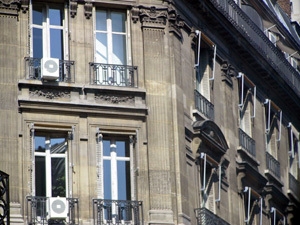 These are the buildings that laid the streets of Paris. A vast difference from the HDBs of Singapore. Perharps you can call them the HDBs or "concrete jungle" of Paris. Every building seems so well-sculptured and artistics. Indeed, art is in the air here. 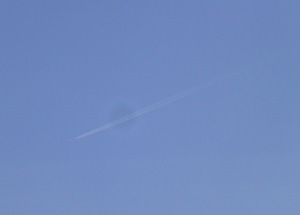 In the city of Paris, we kept on seeing these "things" in the skies. Till now, we are still wondering what it could be but came out with the conclusion that these should be those plane tours around Paris. We arrived at our destination at last. 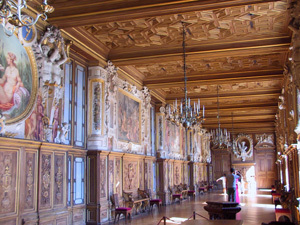 The Fontainebleau palace, lavishly built and furnished in Renaissance period style, was a favorite hunting residence of the French Kings. You will never believe how lavish the whole palace is. It is simply breathtaking. This is one of the hallways of the palace where receptions were held by the Kings.